The Fulton Theatre’s long history began with its first production in 1852, launching decades of dramatic productions that cut across genres and that reflect the nation’s journey from before the Civil War to the present. 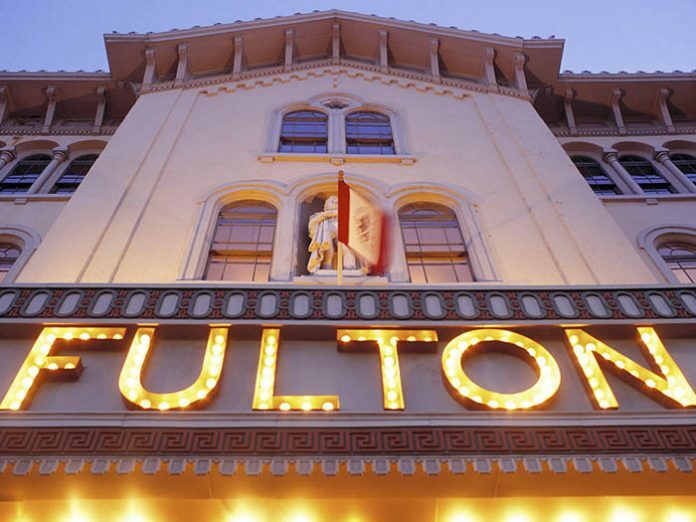 Shortly after its 100-year anniversary, the Fulton Theatre earned designation as a National Historic Landmark. Despite its age, the building has only undergone a handful of major renovations, the last one occurring between 1994 and 1995 and the one previous to that occurring in 1908. Constrained by outdated stage rigging and lighting, the Fulton Theatre worked with AVL integration firm Clair Solutions on a $1.3 million upgrade that literally sets the stage for decades of critically-acclaimed theatre to come. Because of his intimate knowledge of the Fulton’s inner workings, Bill started working with Robin and his staff to prepare for the major renovation that would allow Robin to stage state-of-the-art musicals. With sufficient preparation, Clair Solutions helped manage the massive undertaking, which included complete gutting of the old systems and the installation of new infrastructure to support a new rigging system, the new rigging system itself, new lighting, and new control. Moreover, the team managed the job in just six weeks, allowing almost no interruption in the Fulton’s season. The biggest challenges arose from the building’s ‘vintage’ wooden grid and the sheer age of the lighting infrastructure. “Almost no theatres have wooden grids these days,” Bill observed. “We wanted to replace their 32 hemp line sets – the old-fashioned kind with sandbags and everything – with 40 ETC Prodigy P75 variable-speed hoists. Instead of five people moving sets with sandbags, one person at a console can just push ‘go’. One reason we went with the P75s is that ETC’s compression tube system would eliminate any lateral force on the wooden grid. The grid could take the weight of the scenery, but not the weight of the hoists themselves. For that we needed to install new steel.” Clair Solutions worked with the Fulton, the general contractor, and the speciality trades to orchestrate an ambitious installation: as part of the larger project, the theatre was removing the penthouse cupola to give it modern smoke hatches. The team seized the opportunity to crane in all of the steel and hoists over a four-day period. They succeeded despite four days of especially terrible eastern Pennsylvania weather! The old lighting system that was installed during the massive renovation in 1994-1995 had served the theatre well, but it was on its last legs. “Toward the end, everyone involved with the theatre breathed a collective sigh of relief whenever they finished a show without any hiccups from the lighting,” Bill said. “The difficulty for the Clair Solutions technicians was tracking down the various house light, working light, and constant circuits. A lot of work had been done on them over the years, and most of it was undocumented. It’s a credit to our crew that we sorted it all out and still kept to our timeline.” The team replaced four 96-channel dimming racks with four new ETC Sensor Dimming racks – three for the theatrical lighting and one for the working lights. 24 ETC ThruPower modules allow the Fulton staff to freely mix dimming, switching, and manual bypass. An ETC Sensor IQ Intelligent Breaker System supports all the new circuitry. “I’m proud of our ability to work with the Fulton Theatre over nearly a year and to track adjustments in the project scope and budget while maximising the power and flexibility of their new rigging and lighting,” Bill said. “I spent countless hours working with the original structural engineer from the 1994-1995 renovation to figure out how to place the additional steel needed for the rigging system. A conventional approach would have cost twice as much and would have put the theatre out of commission for three or four months. Our solution was intense – those were six hellacious weeks! – but we succeeded in all of our objectives and at a total cost that allowed it to happen and to happen with tremendous flexibility for Marc and the rest of the creative staff.” The Fulton Theatre leveraged that flexibility with its recent run of Treasure Island.